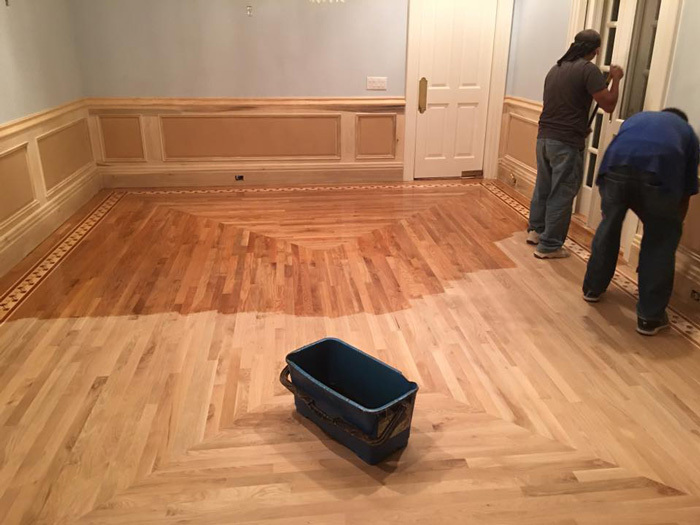 If you have hired professionals to install hard wood flooring in your home, there are some steps you should take to prepare for the job. By engaging in some simple preparations before they arrive, you can prevent a lot of dust buildup, as well as damage that can occur to the rest of your home without protection. Even though wood flooring companies like Designer Wood Flooring will take every precaution to protect your home, the more you can do beforehand to prepare, the better. Here are four things you can do to simplify the flooring installation process and cut back on mess. Seal off rooms that won’t be worked on. Close the doors but also cover the doorway with plastic sheets sealed with masking tape. Tape plastic sheeting over your heating ducts, vents and other openings too, in an effort to keep airborne dust from entering the room in question and getting caught in the fresh varnish. Floor installers will usually remove the doors from the hinges before they start the installation process; however, they may not store the doors as safely as you would want. Remove all doors from their hinges. Stack them in another room. Separate each door with a blanket to prevent scratches. Keep hinge pins together in a plastic baggie. You can either remove the entire baseboard or the moldings that line their bottom edge – depending on the type you have. This gives the technicians plenty of space to install the flooring planks as close to the walls as they can. If you’re like many homeowners, you can use this opportunity to install brand new baseboards, so you can have a whole new fresh look. The case and stop moldings on doorways may present a bit more of a problem than baseboards, but it can be done. Most installers won’t remove them but will instead cut the bottoms of the moldings in so they can more easily place the new flooring beneath them. You can get a better look, though, by removing the moldings entirely. Now, the technicians can better fit the flooring boards more tightly around the frame of the door, resulting in a more polished and uniform look. To learn more about what our installers will do for you as part of the hardwood flooring installation process, contact us at 830-228-4866 (San Antonio, TX) or 409-201-1967 (Southeast Texas). Copyright 2017 © Designer Wood Flooring. All Rights Reserved.